Walking is a fantastic activity for you and your children. It's free; you can be spontaneous, and it's a great way to spend quality time together. Everyone knows how to walk, and as soon as your child has mastered the art, it’s one of the easiest ways in the world to be physically active. You can do it virtually anywhere without special or expensive gear - just a comfortable pair of shoes. For younger kids, long walks or hikes can be a challenge, or if you have baby in tow you most likely will bring your stroller with you. Worse part of any family outing is arriving at your destination, and you can't use the stroller due to hills, uneven trails or worse no clear path to follow that's stroller-friendly. Here are 14 places in and around Vancouver (and Victoria) that are stroller-friendly and provide a great outing as a family or with your group of mommy friends. Situated along Burrard Inlet in Port Moody, next to the Port Moody Station Museum. 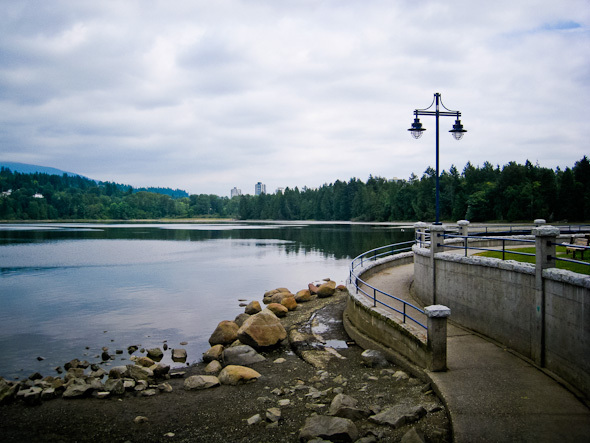 It is 3.8 hectares in size, and is the most well-known park in Port Moody. Rocky Point has a variety of amenities, including a new playground, outdoor swimming pool, water park, skateboard park, boat launch, hiking and cycling trails, and wildlife viewing. A paved trail takes you from the boat launch and pier all the way to downtown port moody with many sights to see along the way. Located along the Fraser River, the waterfront boardwalk is the perfect setting for a casual stroll and gives you the chance to enjoy multiple public art features like Community on the River. Easy to get to and stroller-friendly, this paved and boarded, boardwalk stretches along the north arm of the Fraser River. Along the way, you'll find playgrounds, a beach, a few viewpoints and public art displays. 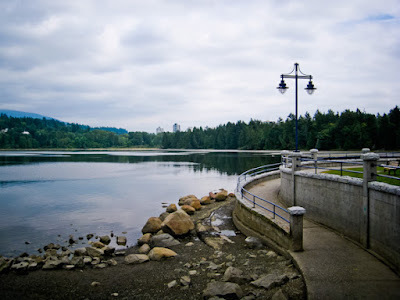 Located in Burnaby just east of Vancouver, Deer Lake Park offers a nice, flat, and easy walk that circles the lake and passes by a beach area, a viewing tower, and pier, all offering great scenery. The trails' stroller-friendly and are accessible all year - popular with residents walking dogs or just out for an afternoon stroll through the park with the kids. This wonderful stretch of beach is located in White Rock, south of Vancouver. There's a gravel trail along the beach that is perfect for strollers and for small children. The beach is great for beach-combing, digging in the sand, throwing rocks or just sitting down and having a snack. The gravel path travels from the main street along the water with lots to see. The Little River Loop Trail walk starts and ends at the 16th Avenue parking lot and while visitors are free to walk either the easterly or westerly side of the loop first, the walk starts along the westerly side, going in a southern direction. The walk guides visitors through the vine maples that arch across the trail that then opens into the meadow habitat. It continues south a short distance through a forest of tall trees then curves east through the wetland then north for the return through forested and riparian areas to the trail end. 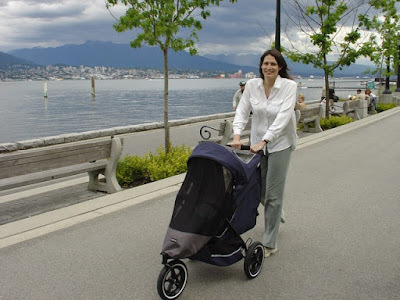 It is path is flat and stroller-friendly and just over 2 km - a great work out that easy for kids and pets. Located close to historic Steveston Village. 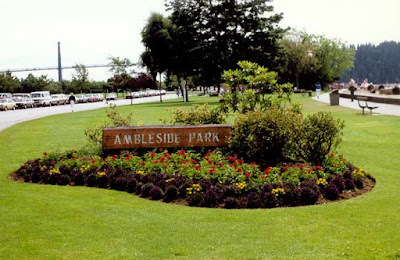 The park provides spectacular views of the South Arm of the Fraser River and the Gulf Islands. Gravel-trail that loops around Garry Point Park, or you can walk through the village and keep going to the historic part of Steveston. Located in North Vancouver, Lynn Headwaters Regional Park offers a smooth, level gravel-trail along the river. Just follow the lower part of the Lynn Loop trail, and you'll enjoy some nice river and forest views, without having to go into the rough with the stroller. The upper part of Lynn Loop involves stairs, rougher terrain and steeper inclines and is not suitable for strollers. From this park in West Vancouver, you get some great views of Lion's Gate Bridge, and of Stanley Park and downtown Vancouver across the water. The beach is really nice here, and the walkway along the water is paved all the way. The public market on this island in the middle of downtown Vancouver, and all the other little shops and eateries here are very popular with locals and tourists. It's a great place to go shopping, or eating, or walking. There's a walkway that goes around Granville Island, mostly following the water. Part of it is the boardwalk, and part of it is paved. Easy walking, and it goes right past the playground and water-park. 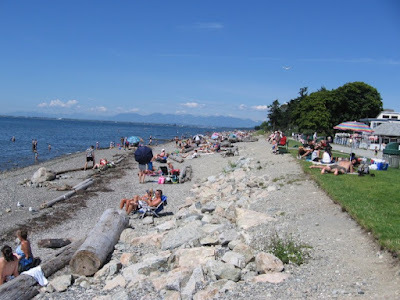 Spanish Banks is one of the best beaches in Vancouver, and it also has a nice, level walking trail running along it. With a view of the water, the ships, the north shore mountains, and downtown Vancouver. For a longer stroll, you can keep walking past Jericho Beach at one end of Spanish Banks, and continue along the water all the way to Kitsilano Beach. This area of downtown Vancouver, along the inlet known as False Creek, makes for a great urban walk. The trails are all paved, and there are little parks and playgrounds along the way for you and your kids to enjoy. It's easy to get to if you're a tourist staying in downtown Vancouver, and it will give you a different perspective of the city than when you're just driving through. In downtown Vancouver, there is really no better walk than Stanley Park's Seawall. The scenery of the city, mountains, and ocean, is unbeatable. The route is paved all around the park (the trails through the woods are not however), and there are lots of nice stops along the way: Vancouver Aquarium, Third Beach, Prospect Point, various playgrounds, and more. A 27-kilometre route connecting Sidney to Victoria. The trail which is stroller-friendly is flat, hard gravel that travels along coastal roadways, between farms, under canopies of trees and through ocean-view communities. Great for cycling, walkers, joggers - even horseback riders. The trail is wide enough that for side-by-side walking all the way to Blenkinsop Lake. It runs the length of the Gorge, an inlet connected to Victoria Harbour, from Tillicum Road to Admirals Road. Start your walk at the Tillicum end, site of the Victoria Canoeing and Kayaking Club, or at Admirals Road. Stroller-friendly with playgounds along the way and lots of gorgeous scenery.